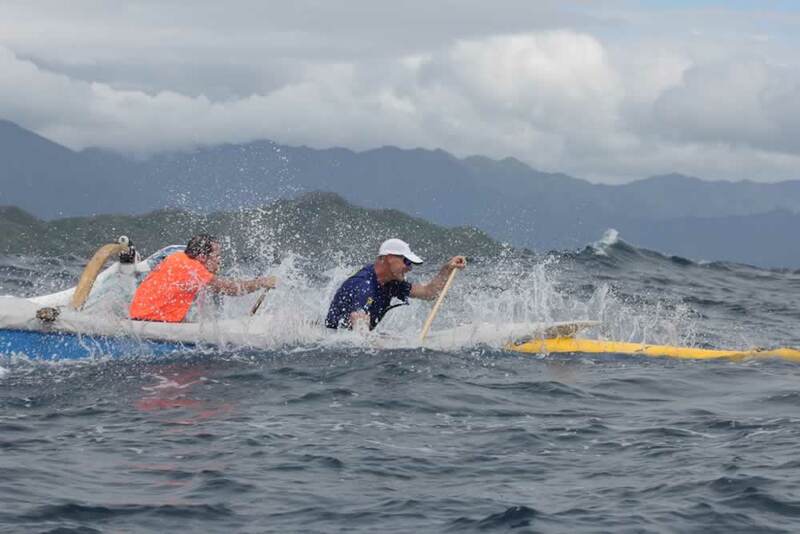 One Saturday morning twenty years ago, while having a cup of coffee at Kalapawai Store and watching the canoes being trailered to Kailua Beach Park for the ‘Dad Center’ race on Sunday, Paul Gay says to me, “you should put on a men’s race the day before ‘Dad’s’. 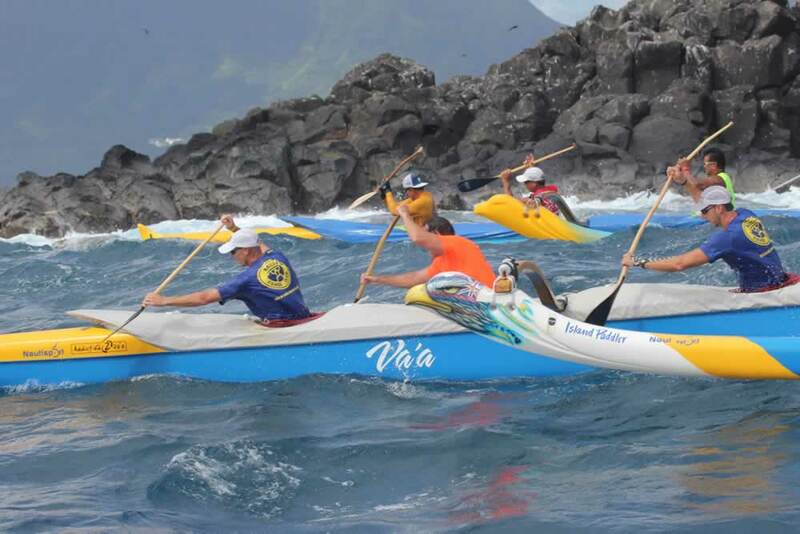 So we did,” said Hank Leandro “Over the past 20 years, the conditions have run the gamut from fairly smooth to extremely rough, and it’s always been challenging, exciting, and fun. 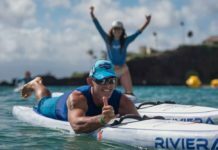 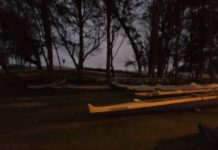 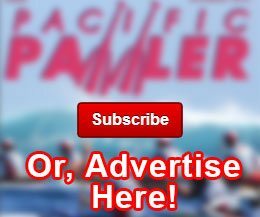 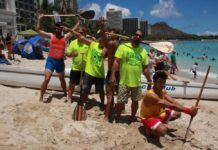 As always, we just want to share our back yard with everyone in the spirit of competition, fellowship, and celebration of this awesome Hawaiian sport,” he said. 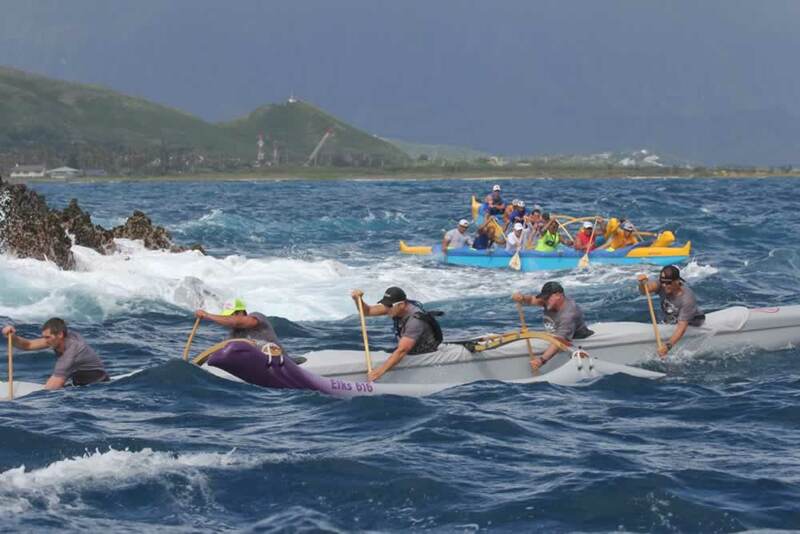 The Kailua Bay Iron Challenge is one of the most scenic and challenging races on Oahu. 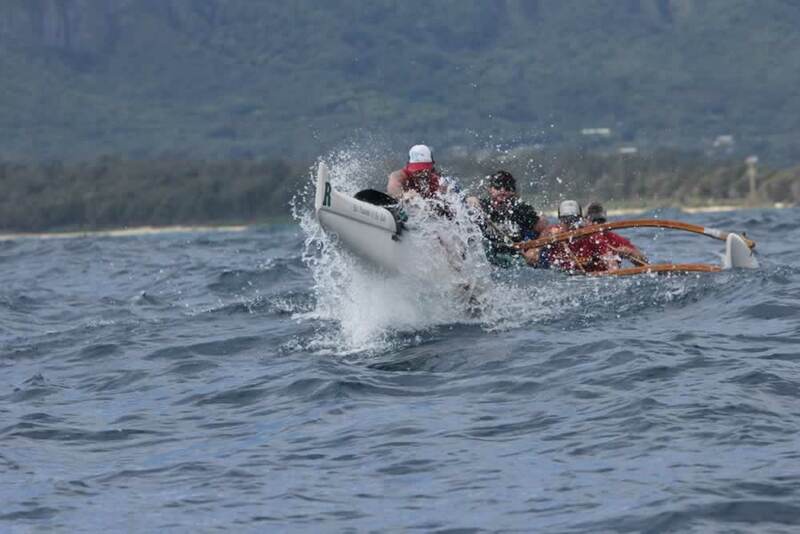 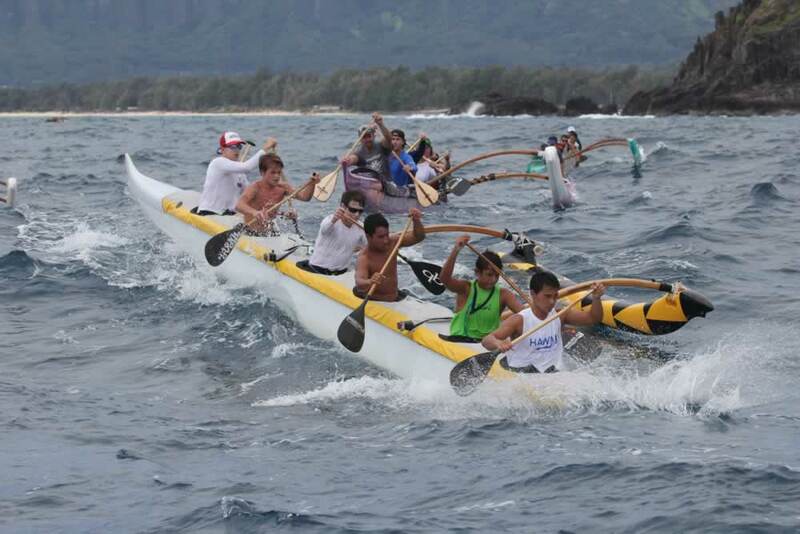 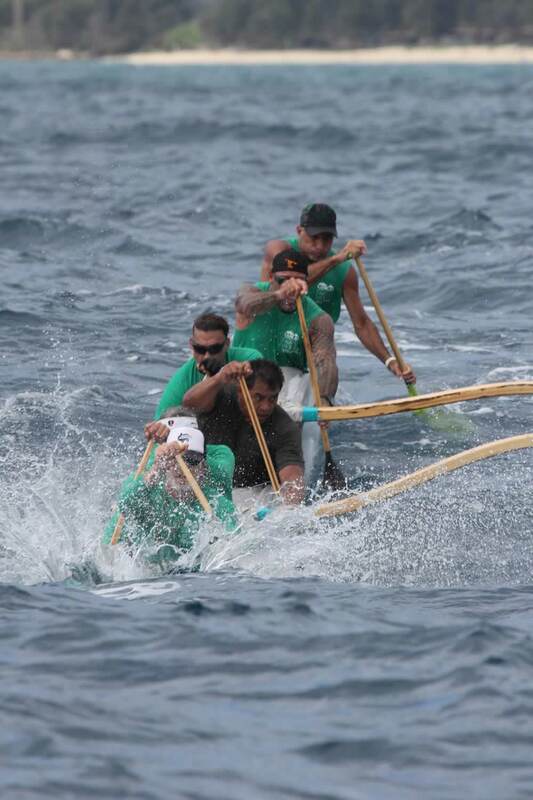 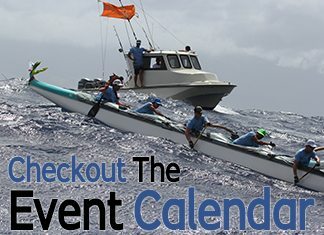 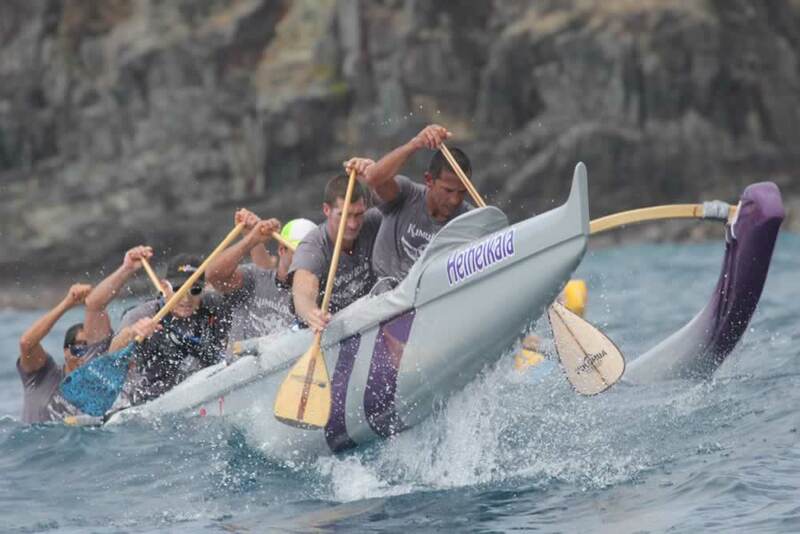 The race is hosted by Kailua Canoe Club. 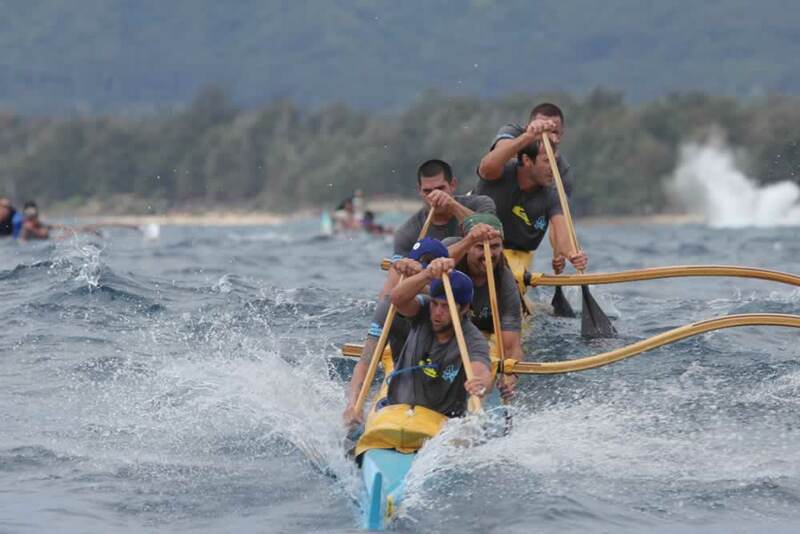 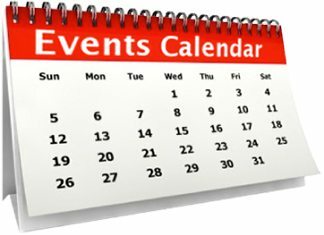 The Kailua Bay Iron Challenge (for men) offers two courses. 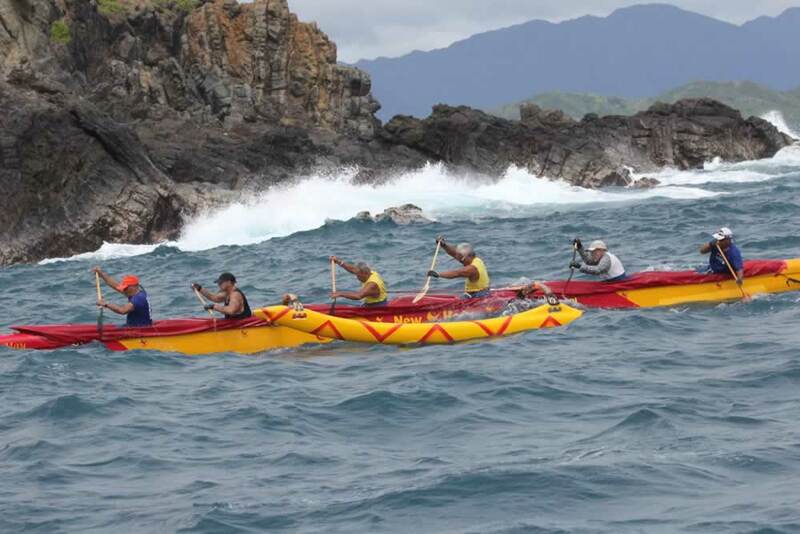 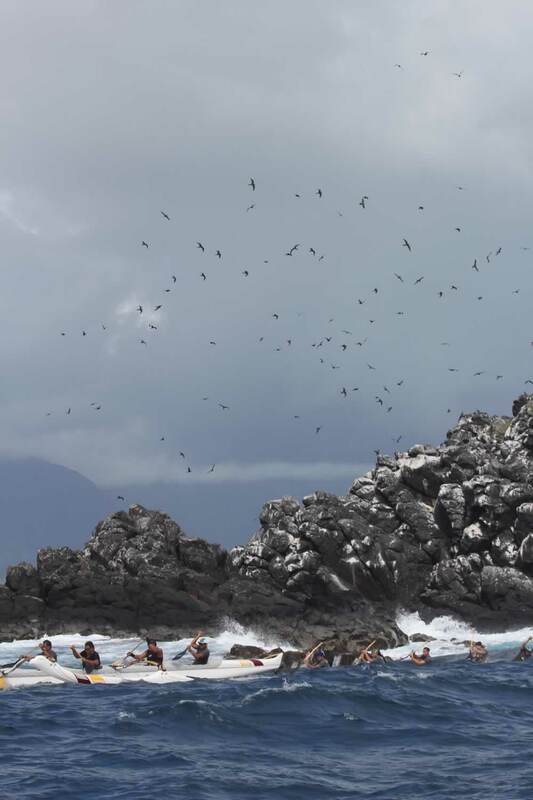 The first is a 13.4 mile trek around ‘Bird’, over to the ‘Mokes’ where canoes go around Moku Nui, head a mile into open ocean, turn on a buoy, and run down to ‘Castles’ before finally heading back to the start and finish at Kailua Beach Park. 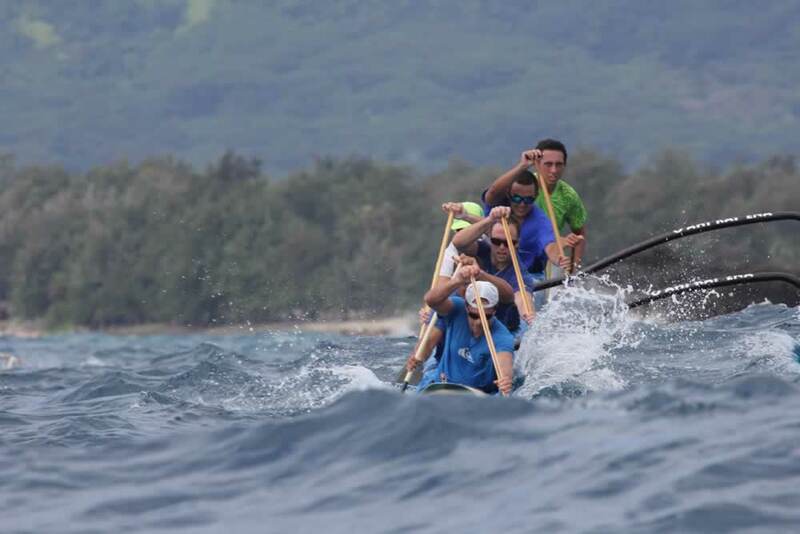 This year race organizers gave the green flag to the ‘Unlimited Class’ OC6s. 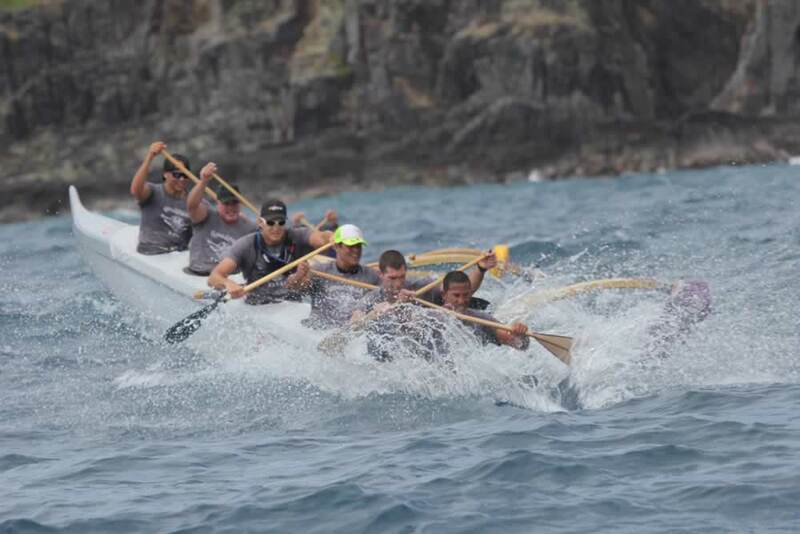 Six crews competed and the top three finishers were Kailua Grey 1:34:17, Hui Nalu Emalia 1:34:49, and Hui Nalu Malolo’ula with 1:40:41. 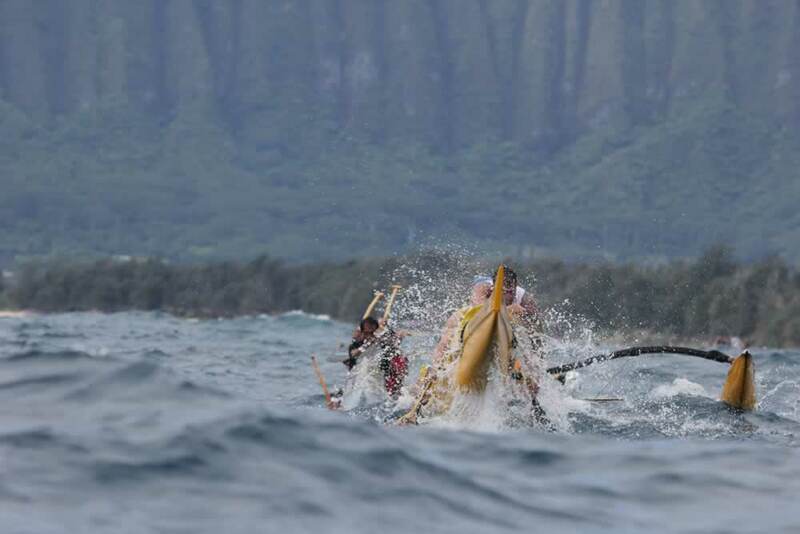 The rest of the long course included 14 Hawaiian style canoes. 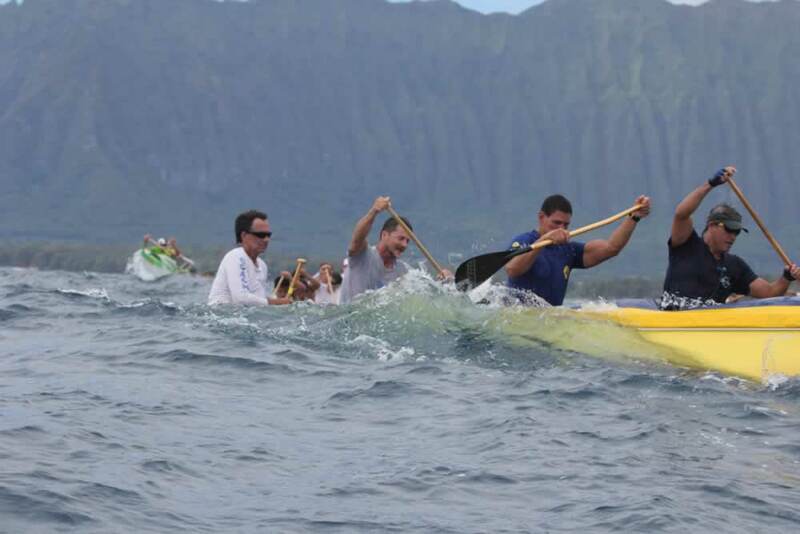 Lanikai finished first in 1:35:28, Kailua #1 second, 1:39:30, and Outrigger #2 third in 1:43:05. 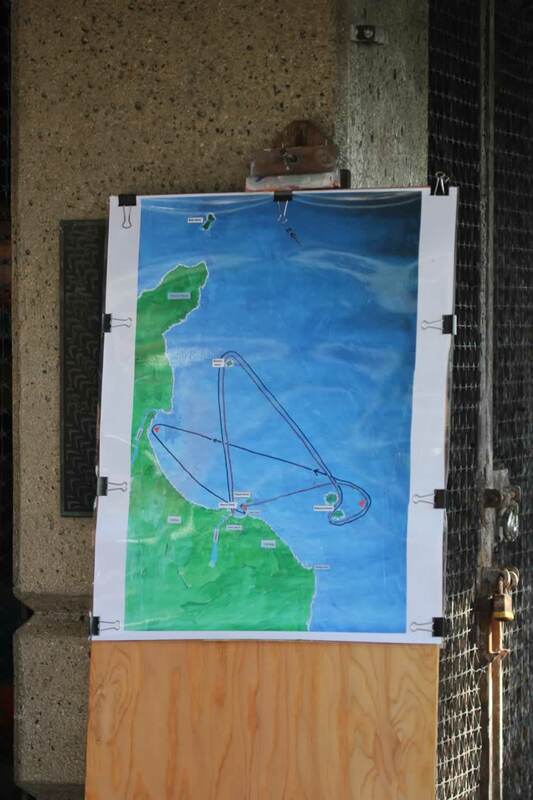 The Short Course, 9.5 miles, was the same as the long without the run to ‘Castles’. 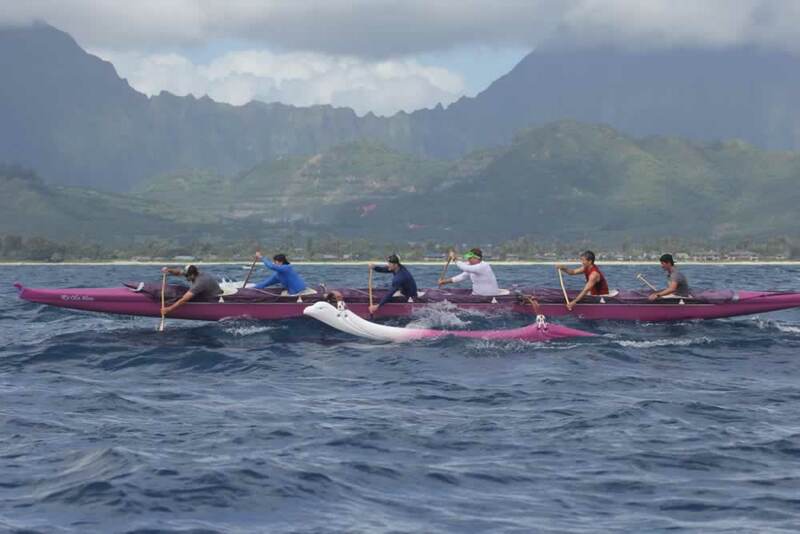 Out of seven novice crews entered, Kailua B’s took top place in 1:22:37, second Kailua ‘Da Ones’ 1:22:38, and third Kailua WTH 1:23:01. Age group division winners were: Men 15-18, Kailua, 1:27:52; 40s, Hui Nalu/Team Mokuahi, 1:15:55; 50s, Lanikai, 1:14:08; 55s, Kailua, 1:19:21; 60s, Team Gilbert, 1:21:41; 65s, Fossils, 1:37:00. 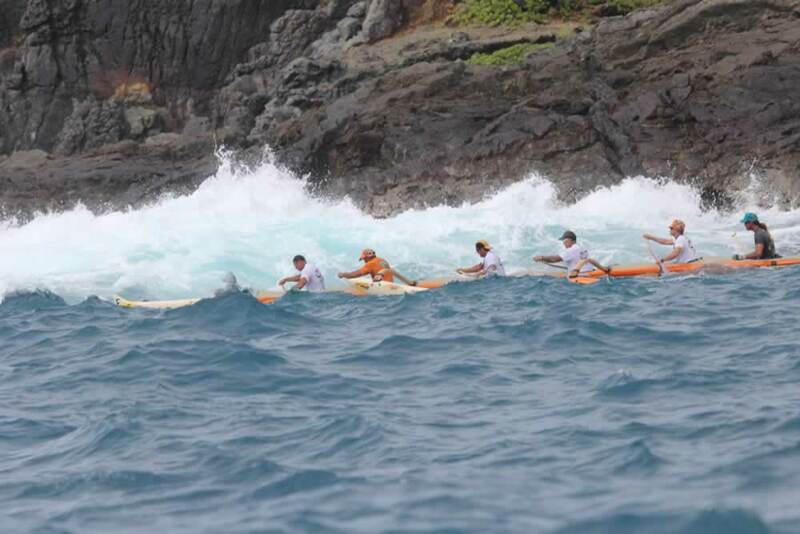 There was also a mixed open crew competing, No Koa Lani who finished in 1:46:55. 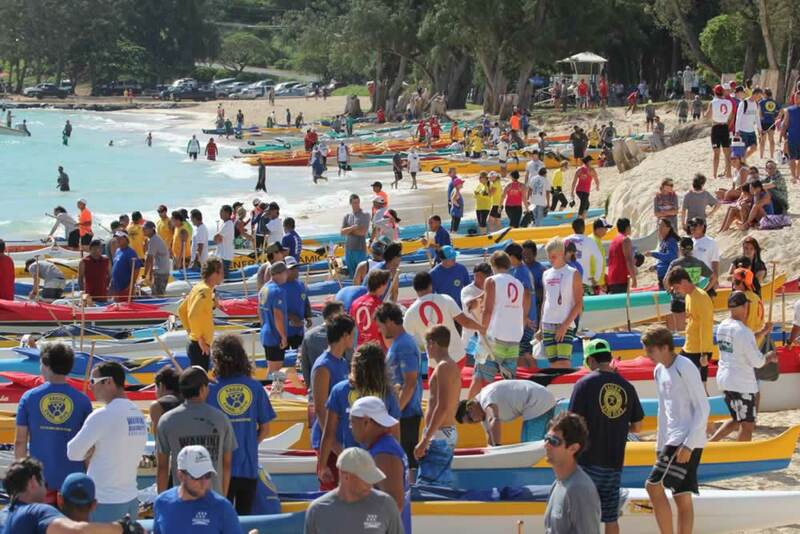 Full results are at Kailua Canoe Club’s website.